Assassin's Creed TV Series Confirmed By Head Of Content | Nerd Much? 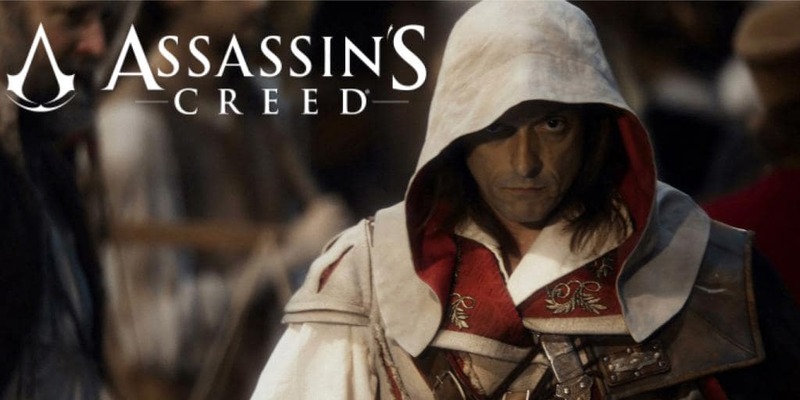 During a Reddit AMA, Assassin’s Creed head of content Aymar Azaizia confirmed that Ubisoft is working on a TV series based on the franchise. Aymar was asked if he could say more about the AC TV show project. Any official announcement for the TV series has yet to come, but it’s clear Ubisoft has been working on this for awhile. Last year, Ubisoft CEO Yves Guillemot mentioned that his company was negotiating with Netflix to make a TV series. Though at the time he didn’t mention which game the show would be based on. It was not made clear yet if this TV series is another result of Ubisoft’s partnership with 20th Century Fox or if Ubisoft’s own film studio will be handling the affair. Admittedly, we can’t be entirely sure which would be better, as the Assassin’s Creed movie wasn’t too horrendous. Nonetheless, the question remains if a TV series can redeem what the movie failed to do. A TV series should give Ubisoft more time to linger and work out the wrinkles of the Assassin’s Creed story. But the company never quite managed that in it games, so I don’t have high hopes for a TV show. Unless, like for Breath of the Wild, someone takes a class in character development, I don’t see it going much better than the movie did. Do you think a TV series can save the Assassin’s Creed movie reputation? Will more time with the story be a good thing? Let us know in the comments below!